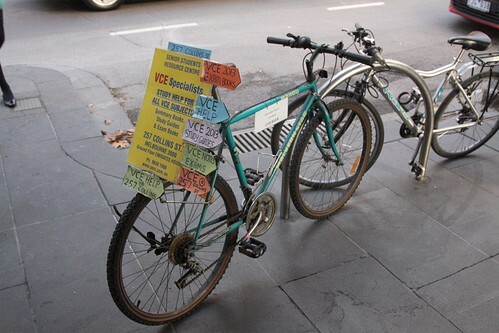 Earlier this year local newspaper The Age ran a piece detailing the plague of advertising covered bicycles that have appeared on bike racks around the Melbourne CBD. So how widespread are they? Here is Ascot Vale station, one of two hundred and something railway stations located on Melbourne’s suburban railway network. So what happens if we jump back about 100 years in our trusty time machine? 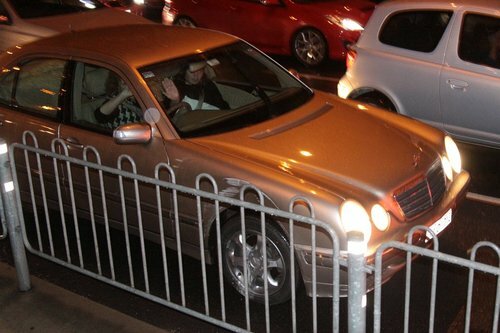 In afternoon peak, Flemington Road in Parkville is a barely moving quagmire of motorists heading out of the city bound for the Tullamarine Freeway. Meanwhile trams get to fly past at their normal pace, thanks to the solid yellow line separating them from the traffic lanes. So what happens when the two meet? Over the past few years Yarra Trams have been closing tram stops all over the Melbourne CBD, as they embark on a program of building new platform stops that provide level access to the modern fleet of low floor trams. The most recent removal is stop 121 at the corner of Bourke and Spencer Streets, used by trams on routes 75 and 86. 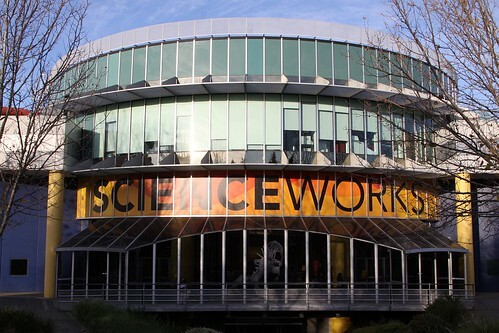 If you grew up in Melbourne during the 1990s, you probably went on at least one school excursion to the Scienceworks Museum, located in the inner-western suburb of Spotswood.